Positively impact your waste management program with trash receptacles fully equipped to handle high volume traffic under all-season conditions. 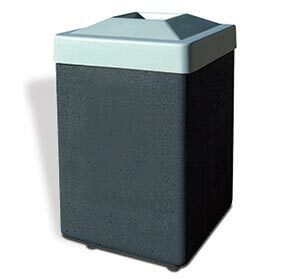 Offering a sizeable 53 gallon capacity with pitch-in lid that encourages proper litter disposal, shields contents and minimizes odors. This large concrete trash receptacle is reinforced with 1/4" steel rebar caging to ensure superior strength and durability. A secure retainer ring helps prevent accidental bag slippages and a security cable ensures the lid will not be misplaced. 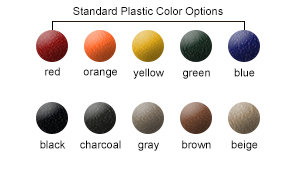 Standard leveling bolts are included and an optional rigid plastic liner is available.